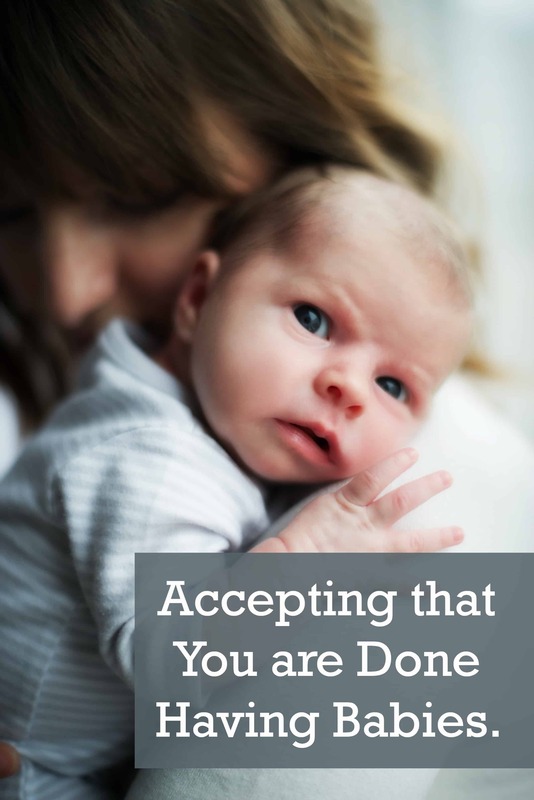 You are here: Home / All Posts / Accepting that you are done having babies… and closing that door forever. 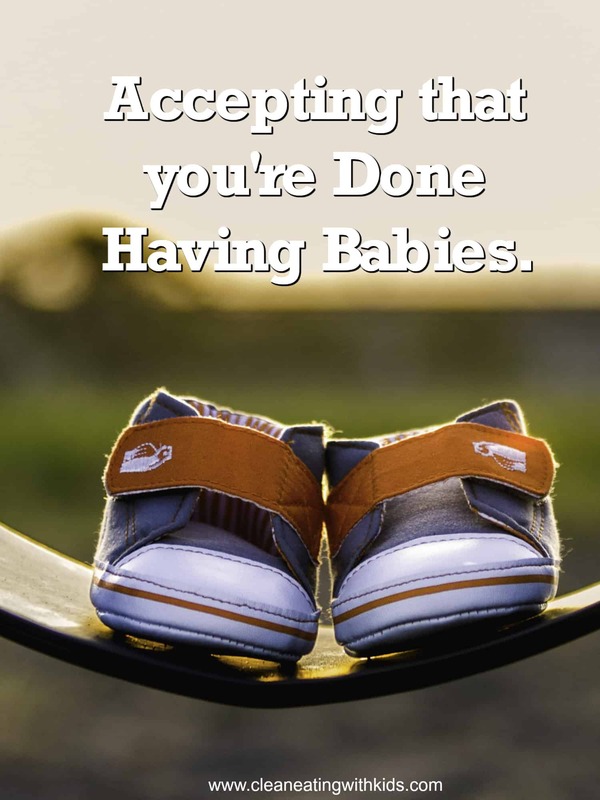 Accepting that you are done having babies… and closing that door forever. The other night we were watching our old home movies of when the children were little. What if we had one more? I knew that it sounded crazy. So I kept it to myself. I mean I have four beautiful children and they are perfect. I am already blessed. My oldest is now 16. My youngest is 9. The gap would be too big. We are in the middle years of tweens and teens. As parents, we are loving this new stage. My kids are funny and their individual personalities are shining through. Everything is easier. Everything is new. I just turned 40. 40! I could be too old. I’d be a mature aged Mom. But 1 in 7 children are now born to Moms over 40. And (a big AND) my husband had a vasectomy 8 ½ years ago. I was there. We made the decision together. The thought wouldn’t go away. Then last night I said it out loud to my husband: “What if we had one more?”. His response. After a short (but I noticed) pause was simply this, “If you want another baby then we can do it”. Not “that’s a great idea, honey” or “I would love another baby”. No. If you want. I want to hold my babies again. I want to meet them all for the first time as the nurse hands them too me. Still wet. Still part of me. I want to see my husbands face when he sees them. Those tears that only come once. I want to feel them kick in my belly. I want to smell their baby smell and stroke that wispy new baby hair. I want to feel them wrap their little arms around me super tight. I want to hold their hands. Their tiny little hands. I want to watch them jump over those ridiculously small waves and look at me when they ‘did it’. I’m not ready for it to be over. Not yet. So many people warned me that I should enjoy every moment because it goes by so fast. At the time, it didn’t feel fast. It felt hard. It felt busy. But now, I wish I had focused more. Photographed more. Held them more. Soaked up every tiny moment. Because time passes and children grow so fast. And memories fade. I am so grateful that my husband didn’t listen to me and bought that video camera anyway. Even though we couldn’t afford it. Even though it caused a fight. Watching my babies on screen brings every emotion flooding back. Would one more child ‘fix’ the yearning I have? I think it would for a bit. And then I would be here again. Is it time to close that door? Some Mom’s I know don’t feel this conflict. If they do, they hide it well. They seem so certain that their family is complete. Not me. I’m not certain. When I think that I won’t have any more babies. I feel sad. There’s this void inside me. It feels like grief and I think that is what this is. The sadness that comes from losing something sacred that you just can’t get back. I can’t help but wonder if having another child would heal this feeling. Except that there is one thing that I am infinitely aware of: My ‘babies’ aren’t babies anymore but they are still growing. We are in a new season of life. The kids are bigger and time is still passing. I need to focus so that I don’t miss anything else. Focus. Writing these words, I thought I could get some closure and perhaps find peace in my decision. But I don’t. A part of me, the part that I show to the World, is ready to move on. The sensible ‘me’ accepts that it’s time to embrace the new. But somewhere inside me, I dwell on the possibility. A quiet voice whispers “Sshh. There’s still time. We will talk about it later”.